For my birthday, I decided on a wine tasting trip to Napa with B. It wasn't going to be just wine tasting, but also food tasting! I had picked out a few restaurants and wineries I wanted to try while on the trip, and we got to almost all of them. Which, was impressive for a 2 day trip! The first place we hit was The Boon Fly Cafe. I had heard about their amazing donuts, so obviously we had to stop by. 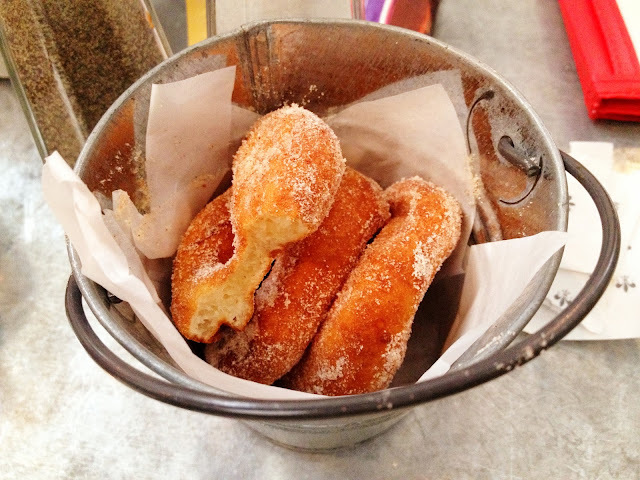 We got there for Sunday brunch, and we started with some delicious cinnamon sugar coated donuts. They were quite small, but we shared an order of 4, and downed them with a gusto. I decided to order the Boon Fly Benedict, which had a deliciously spicy Jalapeño Hollandaise covering perfectly poached eggs, thick cut ham, all on some artisan bread. It was amazing! 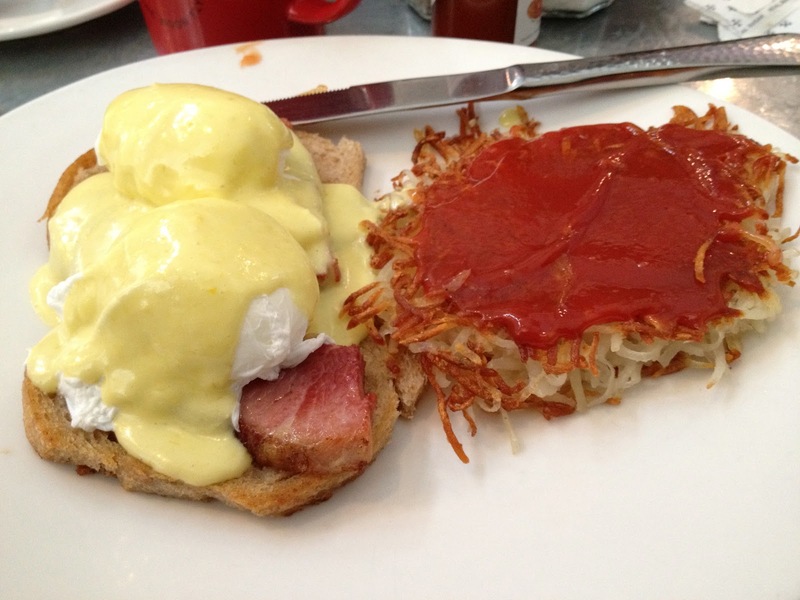 I had never had Eggs Benedict before (I know, where have I been?) but it was a great introduction. For lunch, we stopped by V. Sattui Winery and got a sandwich, bread, their famous artichoke cream cheese dip, and their sesame noodle salad. We shared the sandwich, which was their spicy italian, and it was quite possibly the best italian sandwich I've ever had. We went on a hike, and then ate our food after we finished. 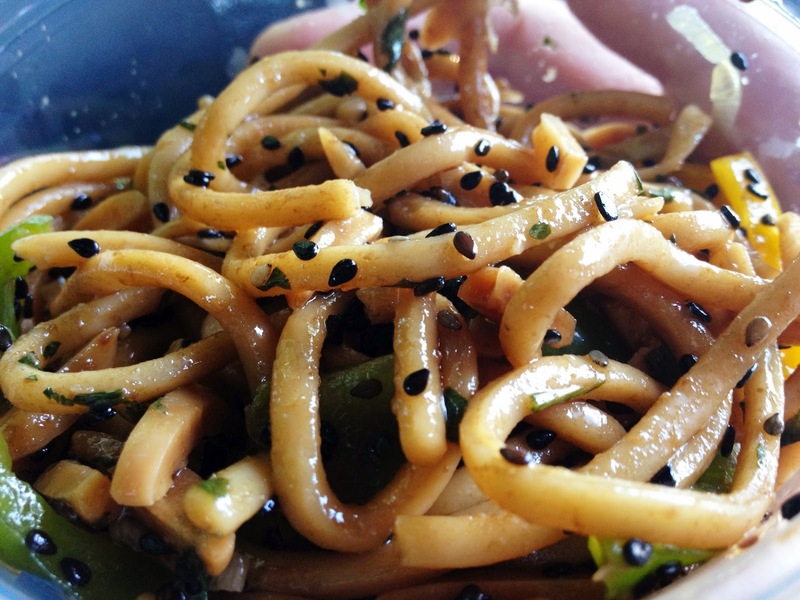 Here was the sesame noodle salad, which I've had before at the winery, and it was delicious as always. Since, it was the day of my birthday, I made reservations for an Italian restaurant for dinner. 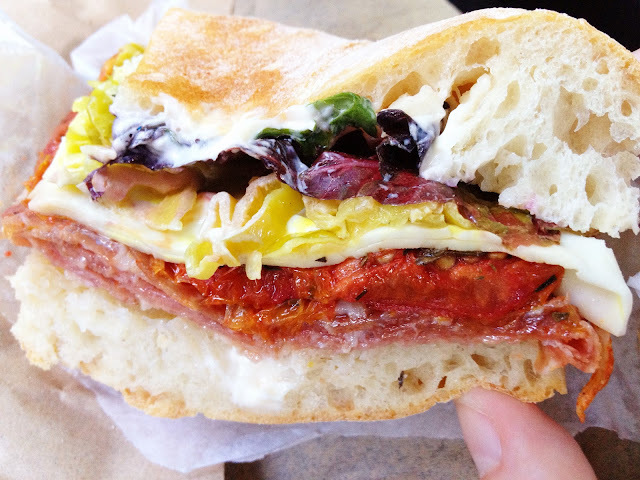 We ate at Bistro don Giovanni, which was right near our hotel. I have to give a link for the hotel we stayed at, because we were really happy with it. It was the Best Western Premier Ivy Hotel and the photos look just like the hotel, it was very nice, clean, complimentary breakfast (with make your own waffles, breakfast sandwiches...etc.). 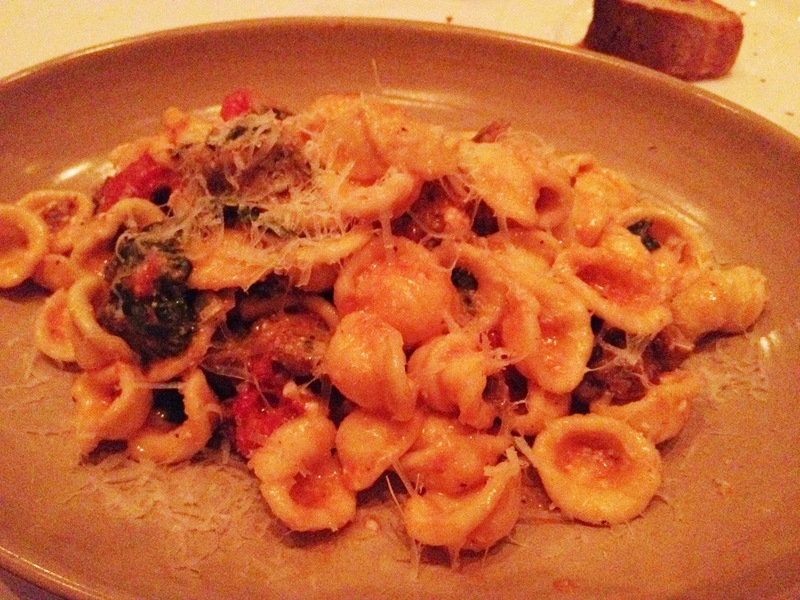 So back to the dinner; I ordered the Orrecchiette with Spicy Sausage. It was absolutely delicious, but B and I definitely did some trading of our dishes. 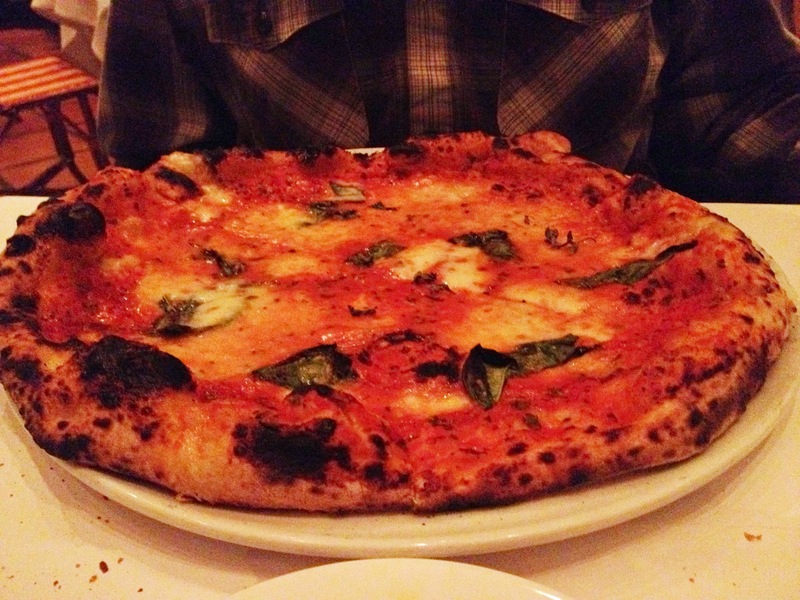 B ordered the Margherita pizza, and it was probably one of the best I've tried. I managed to convince B to give me about half of his for half of mine. We had eaten lunch not that long ago, so we didn't want to much for dinner. The winner of the show, was dessert. 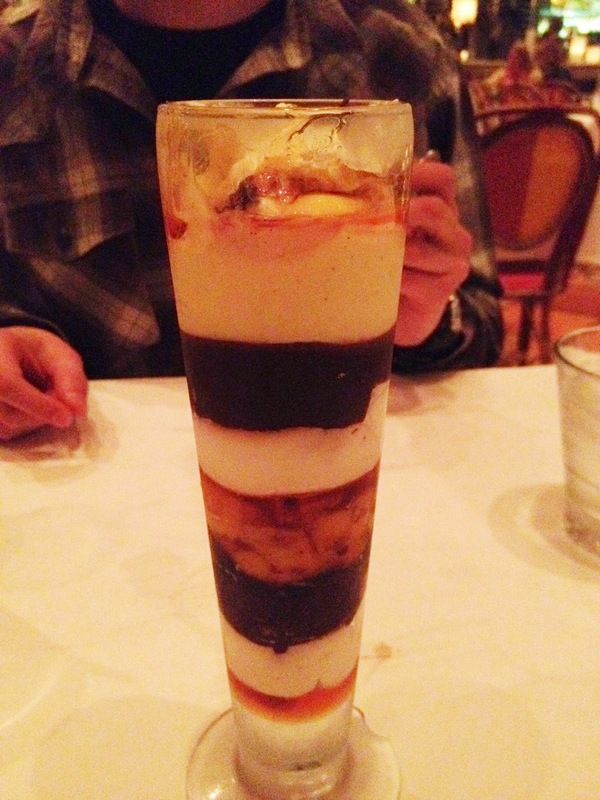 We ordered their famous "Bostini" Trifle. It had vanilla custard, chocolate cake, whipped cream, clear caramel and toasted almonds. Delicious! One of my favorite desserts I've ever had, and that clear caramel was the star of the trifle. 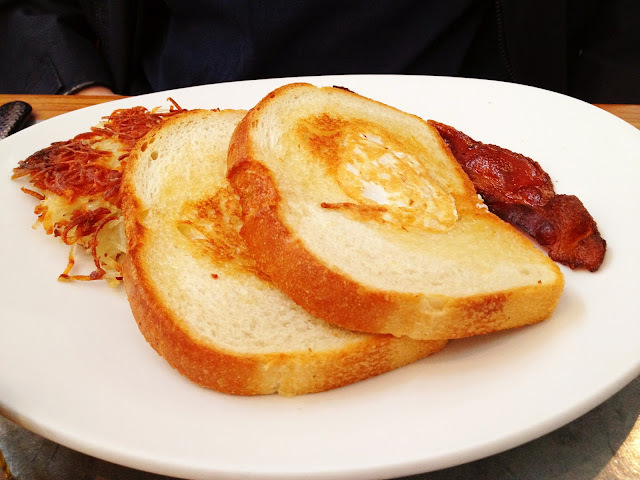 Everything we ate from the first day was wonderful, and I highly recommend trying any of these restaurants!